Photos had been magnified to show details. For actual size please refer to dimensions. This item has been made with natural gemstones so due to natural occurrence please allow some differences in color and clarity in stones comparing to the photos. 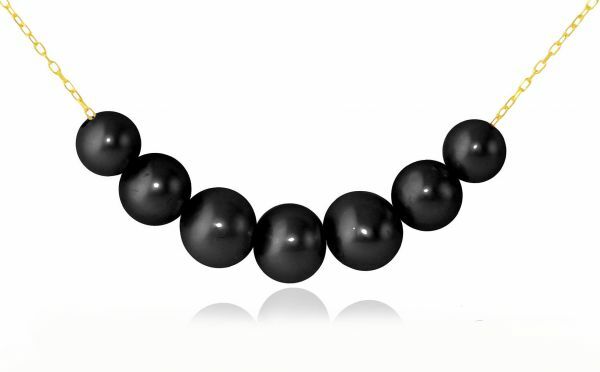 Natural pearl colors may vary from deep black to black with overtones or peacock black.